Entrance hall: light and airy with stone tiled floor. 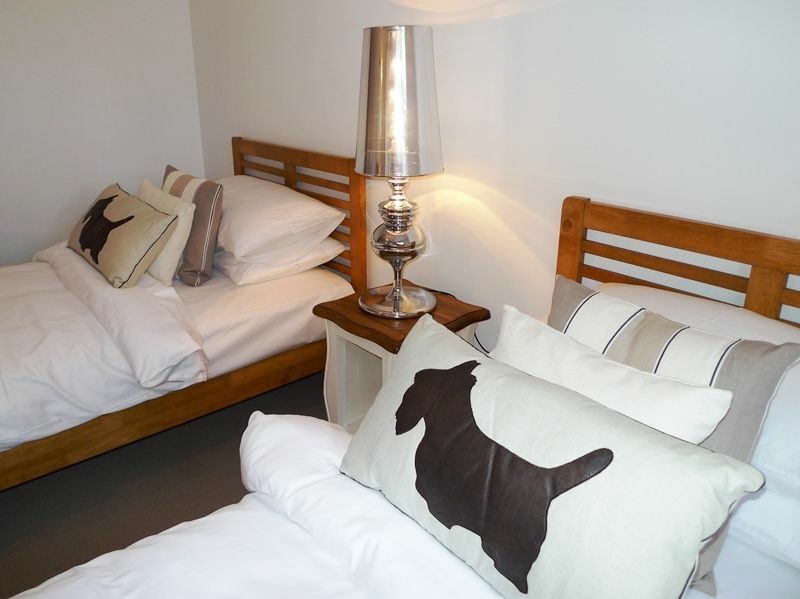 Boot Room: a real luxury to have a separate room to take off your wellies after a long walk on the beach! There are tub chairs and a well-stocked bookcase, with a walk-in coats cupboard. Sitting Room: beautifully presented room with French doors opening out to the terrace. There is a sumptuous extra large corner sofa, snuggler chairs and pouffes to comfortably seat up to 14 people. There is a freeview digital TV with Sky sports package, DVD player, an electric flame-effect fire and stylish coffee table. Kitchen: a stunning contemporary spacious room with a high quality kitchen which has been carefully planned to ensure that guests have all they need to cater for a full-house. The bespoke kitchen has cream-painted units with granite work surfaces and has been extremely well-equipped with 2 built-in electric ovens with a large induction hob, 2 fridges, 2 freezers, Tassimo coffee machine, a built-in microwave, built-in dishwasher and built-in washer/dryer, with high quality Dualit appliances and Denby crockery - there's even a wicker picnic hamper! At one end of the kitchen there are French doors opening out onto the terrace. At the other end there is a separate dining area. Dining Area: designed to ensure that all 14 guests may sit around the table together, with a solid wooden long dining table with 8 chairs and bench seating. The stairs are not steep and there is a wooden hand rail on both sides. 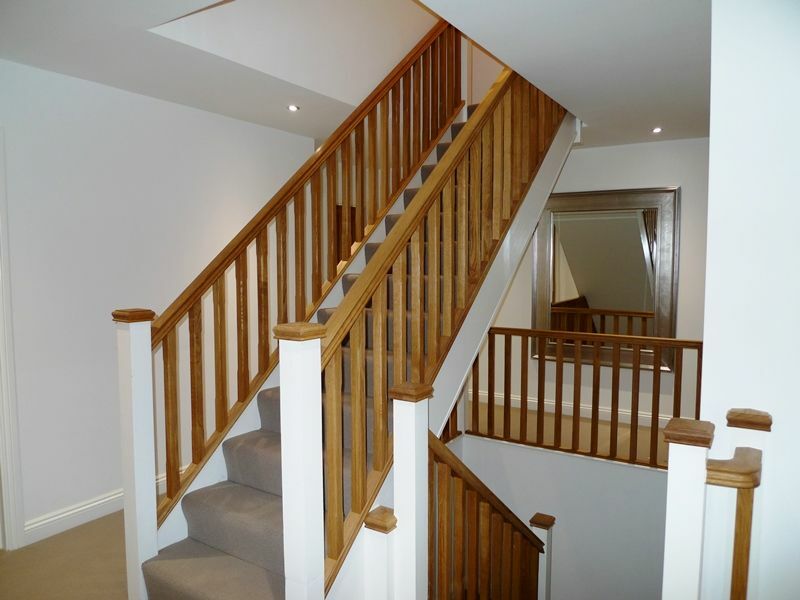 On this floor there are 5 bedrooms: 3 bedrooms are en-suite , and 2 bedrooms share a large bathroom. Bedroom 1: lovely spacious room with a super king-size faux leather bed, bedside tables and lamps, a chest of drawers and a dressing table with chair. There is a separate walk-in dressing room and a large en-suite bathroom: with bath with shower over, hand basin, WC and a heated towel rail. Bedroom 2: beautifully presented in restful grey tones with a king-size bed, bedside table and lamps, chest of drawers, armchair, chest of drawers and a wardrobe. There is an en-suite shower room: with walk-in shower, hand basin, WC and a heated towel rail. Bedroom 3: tastefully decorated with light wooden furniture, king-size bed, bedside tables and lamps, a tallboy, a console table and chair and a wardrobe. 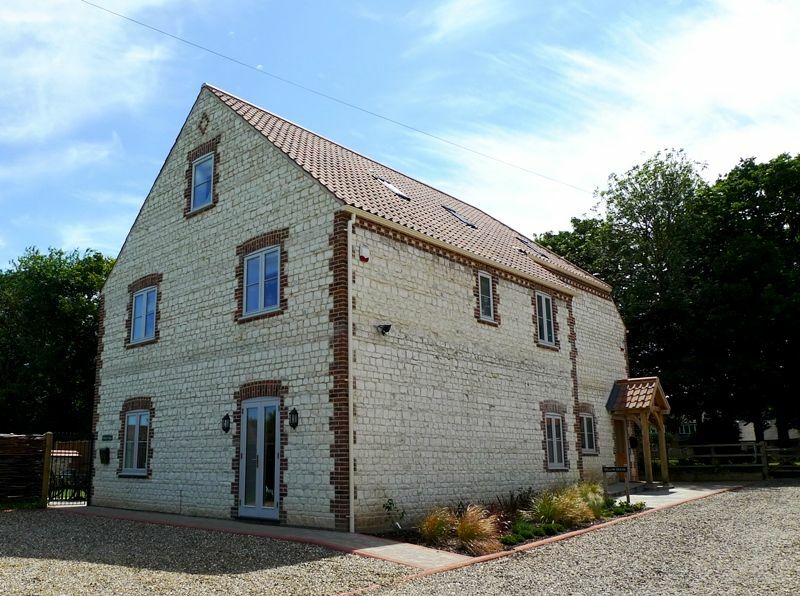 There is an en-suite shower room: walk-in shower, hand basin, WC and a heated towel rail. Bedroom 4: a good-sized room with twin beds, bedside tables and lamps, a dressing table and chair, tallboy and a wardrobe. 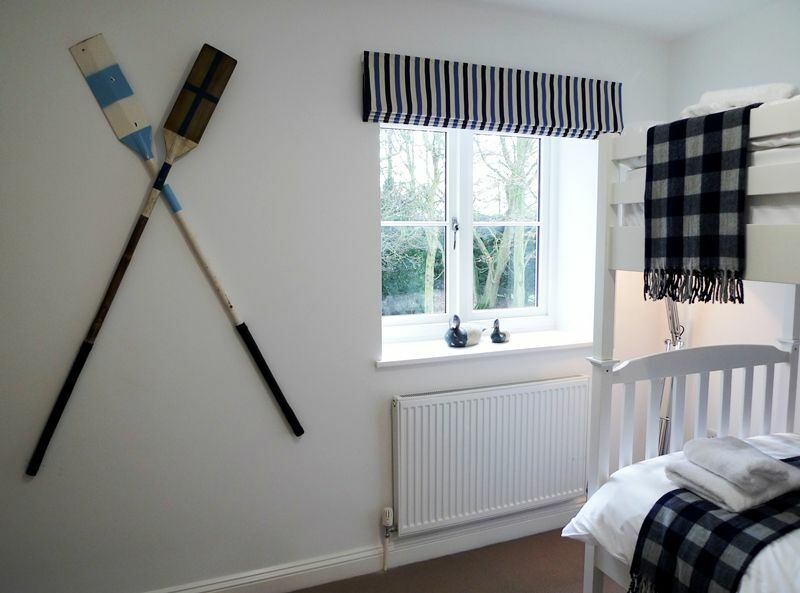 Bedroom 5: nautically themed room with wall-mounted oars. 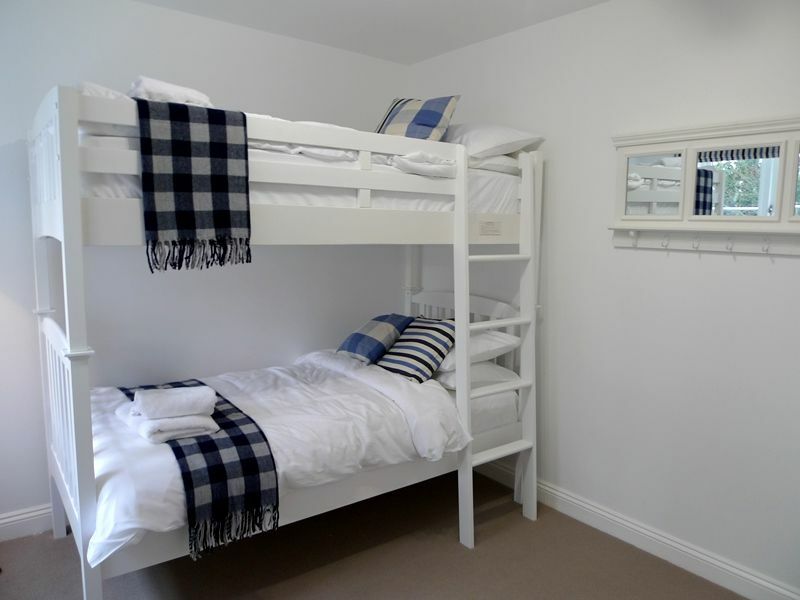 There are full-size bunk beds (with plenty of head height), a tallboy, wardrobe and coat hooks. Bathroom: containing a bath with shower over, hand basin, WC and a heated towel rail. Bedroom 6: spacious room with a high pitched ceiling and a king-size bed, bedside tables and lamps, built-in wardrobes, a dressing table and chair, tallboy and a twin armchair. 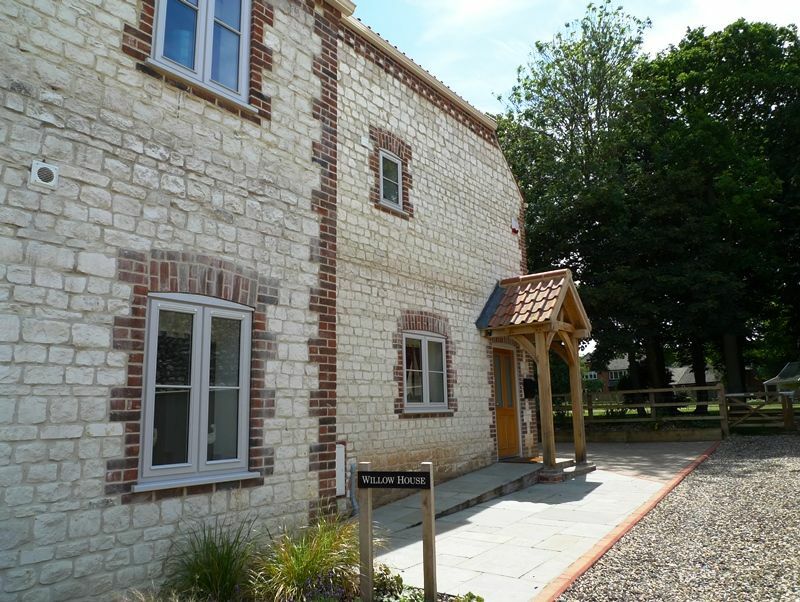 Bathroom: has a bath with a separate walk-in shower, hand basin, WC and a heated towel rail. Bedroom 7: Smaller room with a single bed with a full-size second single bed stored under, bedside table and lamp, chest of drawers and a cupboard. Next to bedroom 7 is a separate cloakroom: with WC and hand basin. Games Room: ideal place for the young (and young at heart!) to escape to at the top of the house. It has a pool table, a large wall-mounted TV with DVD player, an X-box, selection of games, a sofa and 2 armchairs. There is the advantage of Wifi throughout the house, plus a land line telephone which may be used on an honesty box basis. For those staying with children, please note that there is a highchair, travel cot and stair gates available if required. There is parking in the shingled drive at the front of the property, plus an open garage with a block paved drive at the side, with parking for 2 cars. The garden is fully enclosed and has been landscaped with a large paved terrace with garden furniture, a charcoal barbecue and space for all 14 guests to dine alfresco. There is a lawned area with a variety of shrubs and plants. Tennis Week in August - please note that the security deposit for Willow House is £500 (rather than the standard £250). We have stayed many times now & it is perfect for our extended family. The house is in a good location and it's size is great for large groups. The house is still very modern and decorated to a high standard. The sky sports package is a good bonus. This is the 2nd year running we have stayed here and liked it again despite being poor weather and would definitely consider staying again. The house worked brilliantly the layout and room sizes were perfect. 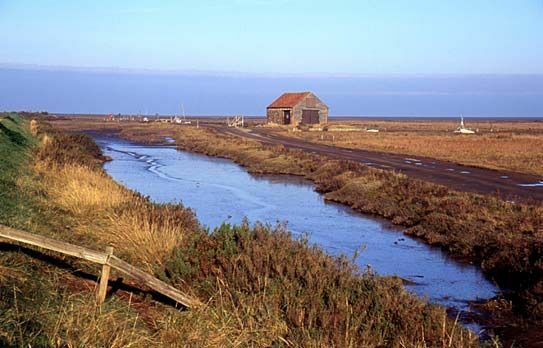 The village of Thornham has everything you need - 3 fabulous pubs, a deli, kids playground and wonderful walks to the beach. Fantastic holiday. Everything was very, very good - house, garden and organisation from Sowerbys. Certainly a beautiful spot to holiday. We will be back!